An open Q&A Session: A unique perspective on being "unique!" 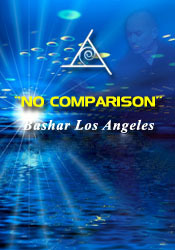 Bashar strengthens our understanding of ourselves as individuals- a perception that will actually enhance unity among us! Q&A Includes: Can two different embodiments of me meet in the same reality, and can this be the case as in twin brothers and sisters or twin flames? In the evolution of man, when did we first start having contact with alien beings and if we share DNA how does that fit in the theory of evolution? If a woman has an abortion is she ruining against the natural unfoldment of an expression of the universe? On Essassani, do you use a technological, electronic music or is it all acoustical style? Do you use crystals as a musical instrument? What do repeated numbers in my reality mean? Bashar speaks on "The Limbo State" Do I have an Essassani counter part and how can I connect with that counter part? The Dolphin/Siruis connection. A 2012 mid-year check-in. How do you see us, do you see us through your mind's eye? About the civilization Iarga. In New Zealand, did my friends and I actually see a UFO?